Does FOX plan to drop the mask? Has The Masked Singer TV show been cancelled or renewed for a second season on FOX? The television vulture is watching for the latest cancellation and renewal news, so this page is the place to track the status of The Masked Singer, season two. Bookmark it, or subscribe for the latest updates. Remember, the television vulture is watching your shows. Are you? 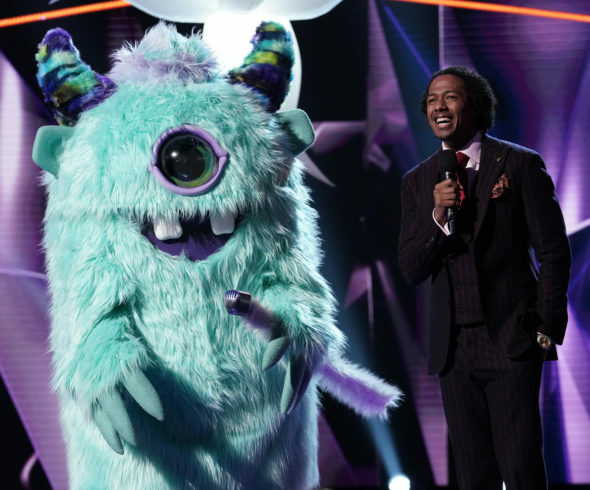 The first season of The Masked Singer on FOX averaged a 2.58 rating in the 18-49 demographic and 8.17 million viewers. Find out how The Masked Singer stacks up against the other FOX TV shows. The Masked Singer has been renewed for a second season which will debut TBD. Stay tuned for further updates. Will FOX cancel or renew The Masked Singer for season two? The series has been doing very well so, unless the ratings completely collapse, I think it’s a sure bet that a second season renewal is coming. I’ll keep an eye on the Nielsens and keep this page up-to-date. Subscribe for free The Masked Singer cancellation and renewal alerts. TV show ratings are still important. Follow The Masked Singer‘s weekly ups and downs. Find more of The Masked Singer TV series news or other FOX TV show news. What do you think? Are you glad that The Masked Singer TV show has been renewed for season two? How would you feel if FOX had cancelled this TV series, instead? We Love love the mask singer. got my mom hooked on it she doesn’t watch shows like that but she loves it. hope to see more of the show …..keep it coming…. The masked singer is the best show on!!! Need to make more and show more often!!! Love love love the show and I’m not a big tv watcher!! Clearly renew it a great show. Where the average viwers can’t guess who it is.